Jean Gilson, DAI’s Senior Vice President for Strategy and Information Technology, has been appointed to serve as Vice President on the Executive Committee of the Society for International Development, the umbrella group of which SID-Washington is a leading member. SID has three offices—in Dar es-Salaam, Nairobi, and Rome—and local chapters in more than 50 countries. Jean will be the only U.S. representative on the Executive Committee. 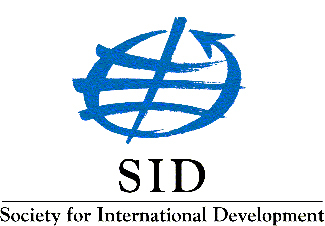 SID was founded in Washington, D.C., in 1957 as a forum for development professionals to exchange information and experiences. The organization moved to its new headquarters in Rome in 1978. Over the years, SID has been at the forefront of shaping the theory and practice of development, challenging existing practices, and suggesting alternative approaches. Jean was re-elected as Chair for Chapter Affairs at the local SID chapter last October. As the second-ranking officer of the SID-Washington board of directors, she leads efforts on membership recruitment, retention, and diversification, and helps guide the organization’s strategic thinking.